The Cox-Maze III surgery ended years of suffering and misery, enabling Jack to help others. None — surgery pretests showed no noteworthy blockage. Started in his late teens, but not diagnosed until age 35. Side effects from medications, including abdominal and stomach pain and severe depression due to pain. Condition deteriorated to the point of always feeling badly. Cox-Maze surgery in April 1998. Living a normal life again and feeling great. Jack's atrial fibrillation started in his late teens as an occasional unusual heartbeat. Since it really didn't bother him or affect his life style, he didn't think much about it. By his late 20s and early 30s, he was having afib episodes two to three times per year. When he was 35, he and his wife were fishing. The motor on his small fishing boat stopped running and he had to paddle the boat back to the dock a half mile away. While paddling, he had an afib episode that caused him to be so weak and short of breath that he had a difficult time reaching the boat dock. Afterwards, his family doctor referred him to a cardiologist, who tested and monitored him and proclaimed that he had atrial fibrillation. This was the first time anyone had put a name to what he had experienced. Over the next 25 years, Jack's afib progressed to where he had three to four episodes per month. He was on a variety of medications, some of which gave him severe side effects or didn't help the afib. He was on Quinidex® longer than any other. His electrophysiologist tried new afib medications as they came to market, but none worked as well as Quinidex®. Most produced intolerable side effects or didn't control his afib. One medication that he took along with Quinidex® was Lanoxin®. After being on it for about a year, he started having abdominal and stomach pains, which soon became persistent and severe. Over the next two to three years, each doctor to whom he was referred diagnosed the problems as either IBS or some other stomach problem. No treatments or medications helped the pain. "They all wanted to send me to see a shrink," he says. "I knew I was depressed, but I also knew the pain was not from the depression. I knew that the depression was from the unending pain that no one could diagnose." A pharmacy mistake led him to figure out that the Lanoxin® could be causing his pain. He stopped it, and within ten days the pain was gone and never returned. Though he says that few people have problems with Lanoxin®, everyone is different and he had very bad side effects from it. In 1993, at the age of 60, his cardiologist recommended the Cox-Maze III procedure. A local Peoria, Illinois surgeon, Dr. Dale M. Geiss, had done about eight Maze procedures, all with excellent results. He didn't want to go through open heart surgery at that time, so he was able to live with it for another five years. By then, his condition had deteriorated and he couldn't live with it any longer, opting for surgery. He had the Cox-Maze III procedure on April 10, 1998, and has been free of afib, and afib medications, ever since. The surgery was much easier than he expected, and he recovered quickly. He has been doing great ever since. Jack says, "This Cox-Maze procedure gave me back my life. I couldn't have lived much longer with the afib I had. I thank God almost every day that I had the surgery. Now at age 73, I am more active than I had been for many years and I feel great." Besides working on his computer, he is active in two pool leagues and started cycling as a hobby and for the exercise. Three years ago, he added a new kitchen to his house, doing almost all of the work himself. After getting his life back, Jack had a desire to help others. Getting his first computer just months after surgery, he started getting on heart forums and telling his story. Several folks asked him to start a web site about the Maze procedure, so he started the Maze Alumni web site. After several years he converted it to the A-fibcures Yahoo Group. In April of 2005, the Maze Alumni group held a Maze Reunion at Barnes-Jewish hospital where Dr. Cox, the originator of the Cox-Maze procedure, along with Dr. Ad, Dr. Geiss, and others, lectured and gave tours through the labs where the Maze was developed. 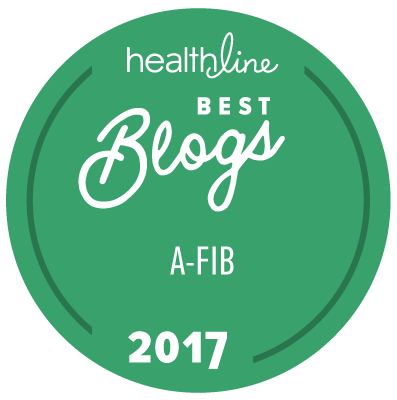 Jack and two others were awarded Certificates of Appreciation from Barnes-Jewish Hospital/Washington University for the information they had put out about atrial fibrillation and the Maze. Jack said that it was personally very gratifying to meet about 30 people who had the Maze from being on his web site. Jack has done a lot for others and is leaving a legacy. But he is not slowing down. He has just tackled a web site for his church with the same zeal with which he created and has led the A-fibcures/Maze alumni forum.